This year, I wanted to experience the Christmas season on the fly, seeing what I could see and hearing what I could hear at random. I wanted to try something different, to get away from the same old, same old Christmas experience from time to time. To that end, I have a lot of Christmas music in my collection, and I listened to almost none of it. There are a few exceptions, of course. On Christmas Eve, this is one. Reverent yet thrilling, Irma Thomas’ rendition of “O Holy Night” is done as a New Orleans-style dirge with some moody Hammond organ and some terrific gospel voices singing backup. Driving home from the hospital, where my dad is spending Christmas weekend, I watched the city start to shut down for Christmas Eve. As 5 p.m. arrived, last-minute shoppers lingered at Shopko, their cars clustered near the entrance. Last-minute diners lingered at McDonald’s, but its sign was off. Taco Bell had gone dark. The “Open” sign was still on at Subway, but it looked like they, too, were just about out the door. So it is on Christmas Eve, the one night of the year when, well, all is calm. Then you hear Irma Thomas’ voice piercing the quiet in the best possible way. “O Holy Night,” Irma Thomas, from “A Creole Christmas,” 1990. It’s out of print and not available digitally, but Amazon will rip you a copy. Reverent yet thrilling, this version is done as a New Orleans-style dirge with some moody Hammond organ and some terrific gospel voices singing backup. My apologies for not posting it here for the last three years. As always, it’s for Rob. “A Creole Christmas” also features the great Allen Toussaint, whom we lost this year. Enjoy his swinging piano take on “White Christmas,” a song you rarely hear with a big band arrangement, or any kind of an upbeat arrangement. Man, hard to believe this record is 25 years old now. With everything that needed getting done, yesterday seemed to summon another of the whirlwinds that so often ensue as Christmas draws near. You just want to step out of that whirlwind and find a quiet place. Especially now that Dec. 23 has turned to Christmas Eve. When I picked up the new issue of Mojo magazine last week, it came with a most unexpected little gift. There’s always a free CD, but the surprise was that it was a Christmas CD. First time for that. 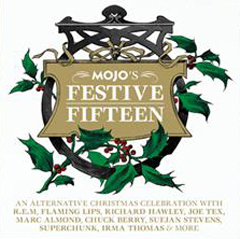 Inevitably, “Mojo’s Festive Fifteen” includes a few cuts I have on other records. Chuck Berry’s version of “Run Rudolph Run.” (He didn’t write that, by the way. It just sounds like he did). The Christmas single put out last year by Sharon Jones and the Dap-Kings. “A Creole Christmas,” various artists, 1990. Can’t believe we’ve had this for almost 20 years. One of the first Christmas records we bought on CD, it’s been one of our favorites ever since. That it’s gone out of print — and apparently isn’t available digitally — has made it much sought after. I once sent it to a guy who said he’d worn out his cassette copy. He said his wife would be so thrilled to have it that he was certain they’d be parents nine months hence. I never heard back on that. Recorded in New Orleans and New York, this record is Creole only in that it features almost a dozen performers with deep New Orleans roots. It’s all R&B, soul and zydeco. No matter. It’s outstanding. We share this one every year, for good reason. As noted here last year, this is a rollicking piano romp, nicely complemented by the horns. All the more special now that I’ve seen Toussaint play live. He’s an American treasure. “Merry Christmas Baby,” Dr. John. Three years ago, Mike wrote to request this one, saying “I seem to remember Dr. John’s version of this song being even more languorous than the Charles Brown version.” Dr. John, first known as pianist Mac Rebennack, is a New Orleans legend. This one, as always, is for Mike. “It Came Upon a Midnight Clear,” Luther Kent. A hymn not often heard on Christmas records, and certainly not one done as blues. Kent is something of a local institution in New Orleans. “O Holy Night,” Irma Thomas. Three years ago, Rob called this “goosebump-inducing stuff.” Yes. Reverent yet thrilling, it’s done as a dirge with some moody Hammond organ and some terrific gospel voices singing backup. This one, as always, is for Rob. All from “A Creole Christmas,” 1990. It’s out of print. Bootsy Collins’ “Christmas Is 4 Ever,” sampled here in Vol. 33, might not be the best Christmas record of the ’00s, but it’s pretty close when you’re thinking of Christmas records you can enjoy, cut after cut, start to finish. There aren’t many like that. Perhaps the only ’00s records we’ve enjoyed more from start to finish are “A Wild-Eyed Christmas Night” by .38 Special, from 2001, and “Let It Snow, Baby … Let It Reindeer,” by Relient K, from 2007, sampled in Vol. 32. But that got me to thinking. What are some of the other Christmas records we’ve enjoyed from start to finish from other decades? As I look over all the stuff from the ’90s, one record stands out. Every time I post a tune from it, someone raves about it, and rightly so. 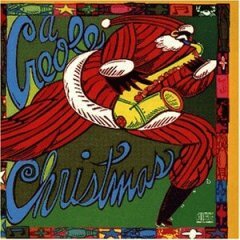 That record is “A Creole Christmas,” released in 1990 on Epic/Associated. That title is a little misleading. Though tasty, there’s no Creole seasoning. Recorded in New Orleans and New York, this CD gathers almost a dozen performers with deep New Orleans roots. It’s all R&B, soul and zydeco, and that’s just fine. Listen for yourself. “White Christmas,” Allen Toussaint. All the more special now that I’ve seen Toussaint play live. He’s an American treasure. This is a rollicking piano romp, nicely complemented by the horns. “Please Come Home for Christmas,” Johnny Adams. This one will give you a good idea of how Adams crossed over from gospel in the ’50s to R&B in the ’60s. Smooth. “O Holy Night,” Irma Thomas. This is for Rob, who calls this version “goosebump-inducing stuff.” Damn straight. It’s reverent but thrilling, done as a dirge with some terrific Hammond organ. All from “A Creole Christmas,” 1990. It’s out of print and hard to find. A couple of other good long-players from the ’90s, though admittedly guilty pleasures: “Star Bright,” by Vanessa Williams, from 1996, and “Have Yourself A Tractors Christmas,” by the Tractors, from 1995. Tomorrow, a good one from the ’80s.